To kids, summer usually means spending long, school-free days playing outside. However, while going out to play is great for their physical health, it’s not without dangers. Aside from things like bug bites, poison ivy and the potential for injury, there is also the sun to contend with. Spending too long in the sun increases their risk of sunburn, which also increases their risk of developing skin cancer later in life. For this reason, it’s important to take steps to keep your children protected from sunburn. Before letting children go outside, apply a sunscreen rated at least SPF 15, or for children with light skin, SPF 30. Ideally, the sunscreen you choose should be broad-spectrum, which shields against both UV-A and UV-B ultraviolet rays. Be sure to apply it half an hour before they go outside so it has time to absorb into the skin. When sweating or swimming is involved, it’s recommended to reapply sunscreen every two to three hours. In addition to sunscreen, protective clothing can go a long way toward preventing sunburns. This is particularly important for infants whose thin, delicate skin warrants more protection. However, it’s necessary to make sure that the clothing used is lightweight, lightly colored and breathable so heat sickness and heatstroke don’t become a bigger threat than sunburn. Furthermore, wearing wide-brimmed hats can help not only prevent sunburn of the face, neck and ears but also the eyes. Eventually, children have to learn to take some responsibility for their own health and safety. You can provide them with sunscreen and the appropriate clothing, but you must also talk to them about sun safety. For instance, advise them to seek shade if the sun starts feeling too intense. You should also teach them that sunburns can even occur in cloudy weather. If your child does end up getting a sunburn, a specialist with a Master’s degree in Nursing recommends avoiding further exposure and drinking plenty of water to help reduce heat damage to the skin. Sunlight is more intense in certain situations. During summer, the sun’s rays are most potent between 10am and 4pm. While most children won’t want to avoid playing outside most of the day, doing so between these hours should be done with greater caution. In addition, water and concrete reflect the sun’s rays upward, increasing the chances of sunburn. Sunburns are a miserable experience and significantly increase the odds of getting skin cancer. 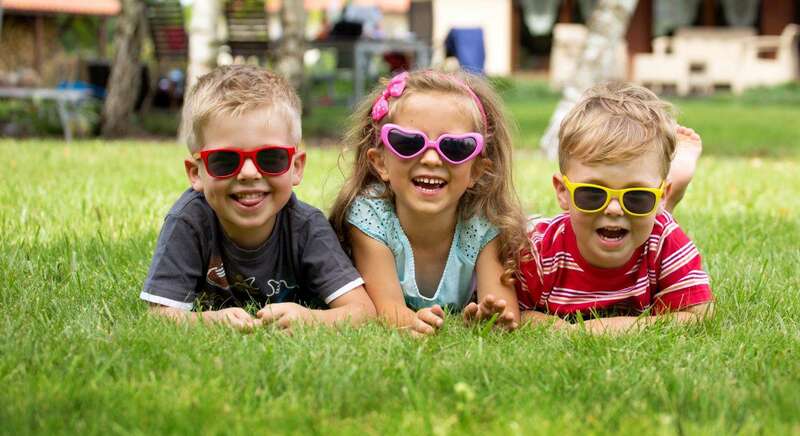 By following these tips, you can better ensure that your children are adequately protected while still allowing them to enjoy the fun summer has to offer.